As discussed in my previous article “Why signals leaders send out matter”, it is common for leaders to send mixed messages to their teams. They say one thing, and yet their teams do not see them walking that talk. These leaders are not considered by their people to be authentic. They lose the trust of those around them. So, here is a key message: mixed message leaders are not authentic leaders. And, from an employee and results perspective, the impact is negative. The key to the start of your journey to becoming a more authentic leader is to become more self-aware of who you are as a person. Self-awareness is the number one trait to build your personal brand as an authentic leader. So, how do we become more self-aware? 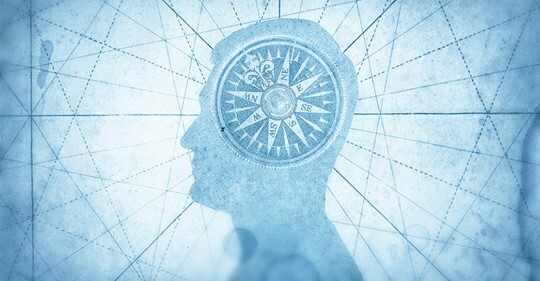 Know your Compass NorthThe starting point to building your self-awareness is to know your “Compass North” – what your personal values are, and what you stand for – or what you should stand for. My Compass North is around achievement, integrity, keeping my promises, care for people and being on time. In all aspects of my life, I aim to be true to my Compass North. My decision-making and behaviours are made within the context of my Compass North. For example, as the people who know me will tell you, being on time is extremely important to me! So is care about the people in our organisation. What are the most important values in your life? How do these values translate to your behaviours? Now, reflect on how well you live your Compass North. Are you true to your Compass North, or are there faults in your compass? Those faults will represent the mixed messages that you send. They represent gaps in your authenticity as a leader. Are you happy with this? I had a role-model authentic boss many years ago. His name was Burditt Krost. Burditt brought joy to family, friends and colleagues. When he came into the office, he brought positive energy to everyone around him. Burditt had a positive ripple effect on people. His professional Compass North was to motivate people by coaching and inspiring them. Burditt always lived by his Compass North. On the other end of the scale, I have come across leaders whose presence affects everyone in the room in a negative way. They seem to be ready to pounce on comments made by others. And they are ready to get personal and belittle others. These leaders have a negative ripple effect on people. Those that are self-aware – but don’t care. They know the impact that they make on others, but don’t care. The dominant factor in the Compass North for these people is “achieve at all costs”. The result is that these people achieve results through the compliance of their people and by creating a culture of fear. And, they come with hidden costs to the organisation in terms of higher employee attrition rates, lower levels of morale, lower employee engagement and weaker teamwork. Those that are not self-aware and care. They do not know the extent of the impact that they make. These people have blind spots. Once they are able to see past those blind spots, they are willing to change because they know will achieve even more, through the commitment of their people. Let me summarise in three keywords: – mixed messages, authenticity and self-awareness. We started with mixed messages sent out by leaders. The impact on employees is negative. Authenticity is a critical element to building trust, morale and commitment from colleagues and team members. Mixed message leaders are not authentic leaders. Or, to put it positively, consistent message-to-behaviour leaders are authentic leaders. Self-awareness is a crucial element to the building of authenticity. A self-aware leader is clear on his or her Compass North, and lives by them. It is important for leaders to be aware of their ripple effect – the impact that they make on others. So which leader are you? In my next article, I will focus on helping those who are not self-aware and want to improve to deal with their blind spots. And, when they learn about their blind spots, they will be on the road to becoming more authentic leaders.